Soon after HTC unveiled the One (M8) the company revealed its plan to bring some of its most unique apps to the larger Android market. 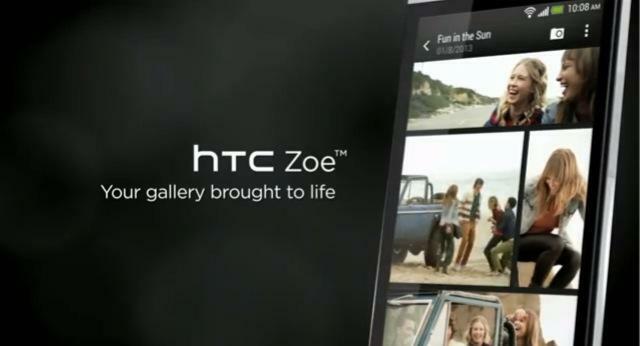 Now, almost five months later, HTC is finally ready to release its first cross-Android app called Zoe, a video clip-making service. The official Zoe app has been inactive on handsets running HTC's latest software, but that's finally set to change this week, and the company will even allow other smartphones to run the Zoe app. According to Re/code, a beta version of Zoe will hit Google Play later this week with a limited number of video-editing tools. It's only slated to run on a handful of high-end phones at launch. HTC Creative Labs says it's already working on bringing a second app to other Android phones, though the company wouldn't reveal any more details. If we had to guess we'd say BlinkFeed, which the phone-maker previously said would join Zoe on more devices. The news and social media aggregator could also be a nice fit for any Android device. Re/code said HTC plans to partner with some celebrities to help promote the new Zoe app, and we're looking forward to trying it when it finally launches.